The charity paid millions in federal stimulus funds to developers shortly after longtime tenants were pushed out. 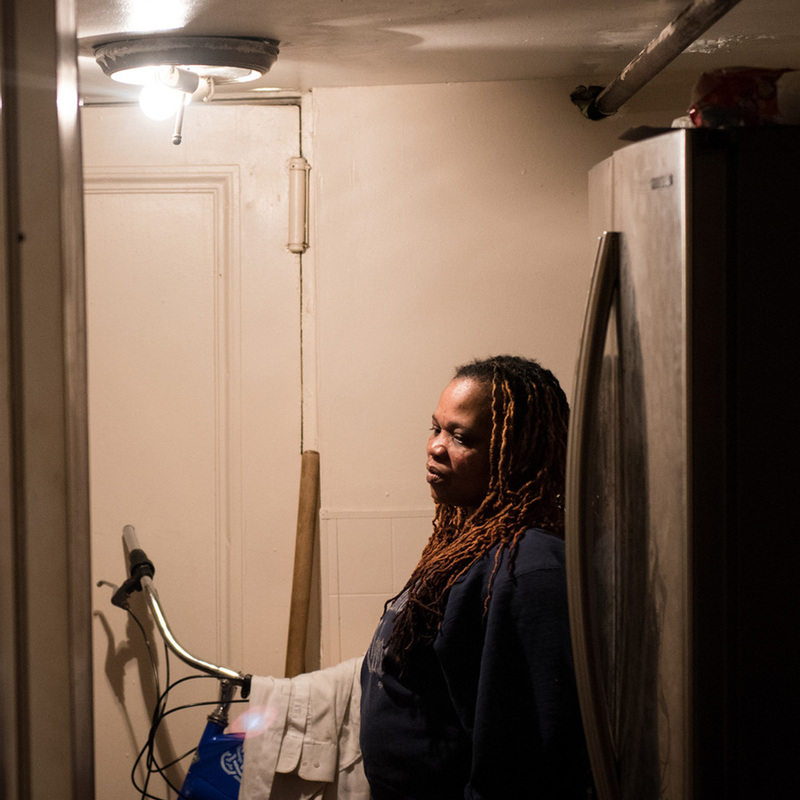 “We are spending federal money to throw low-income New Yorkers out of buildings,” wrote a Habitat whistleblower. Ultimately, Habitat’s project came with a cost: While scores of families gained new homes, other even needier ones were displaced. Though Habitat promoted the properties it acquired to renovate as “long-vacant,” four of nine were still occupied shortly before the charity moved to buy them, records show. In two cases, Habitat targeted buildings just days after the last families living there moved out. The deals, and what local Habitat executives said about how they were being accomplished, left some inside the charity so upset that at least two employees emailed anonymous complaints to the nonprofit’s international headquarters in Georgia. ProPublica’s reconstruction of the events was based on hundreds of pages of internal Habitat emails and memos, as well as a review of public real estate records related to those buildings. ProPublica tracked down former tenants and used public complaints filed with the city’s housing department as well as court records to establish the buildings’ occupancy. 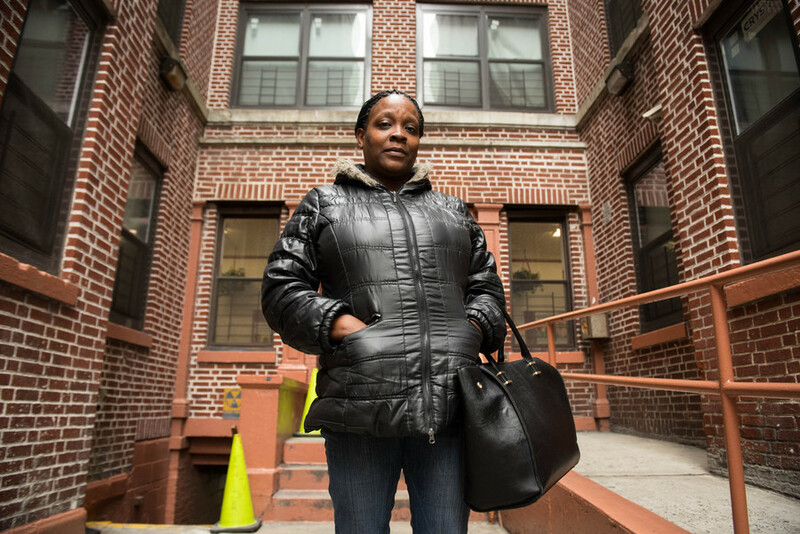 Between 2010 and 2011, at least seven Bed-Stuy families were pushed out of their rental apartments shortly before Habitat purchased them, ProPublica found. All had relied on federal housing subsidies or New York’s rent regulation laws to afford their units. None were evicted in court. Three of the families ended up homeless. Overall, with privately raised funds heaped onto the $21 million grant, Habitat spent $43 million on the Bed-Stuy housing initiative. Some $8.4 million went to buy six properties from developer Isaac Katz and limited liability corporations he represented. In 2006, New York’s Attorney General sued Katz and his associates over a scheme in which they allegedly sold blighted buildings to dozens of minority homebuyers at artificially inflated prices. Katz settled his share of the suit for $750,000, admitting no wrongdoing. One day after Lockwood wrote the email, Habitat’s Real Estate Investment Committee approved the purchase of three additional buildings from what they considered to be a group controlled by Katz for $6 million. Katz’s attorney said his client never had an ownership stake in the buildings, and was merely facilitating their sale to Habitat. 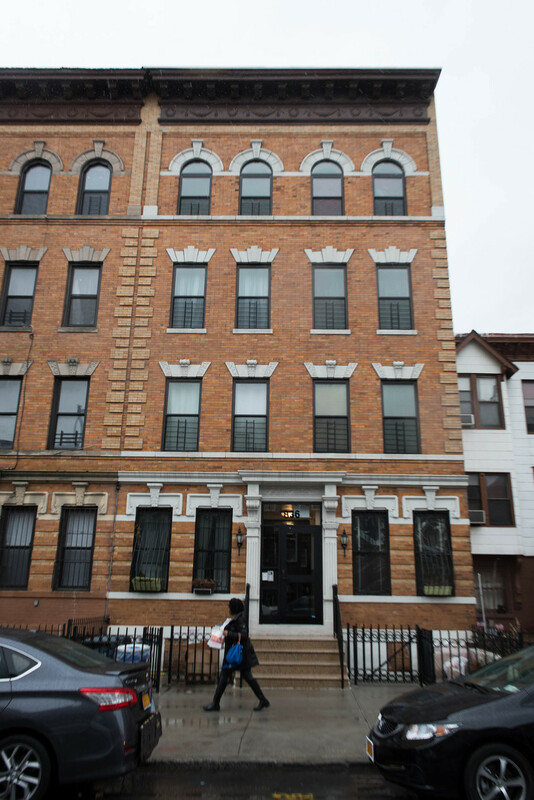 One of the buildings was the elegant, but rundown brownstone on Madison Street where Tashemia Tyson, a single mother of three, rented a third-floor apartment with public assistance. Around three months before Habitat began discussions to acquire the building, Tyson said Katz began pressuring her to leave. Katz’s attorney denied Tyson’s allegations, saying that his client “never spoke to Tyson” and that all the units were vacant when he facilitated the sale to Habitat. The apartment had no heat. “He told us that just as they were going to fix the boiler, the pipes burst,” Tyson said. Reluctant to move, she said she relied on her gas stove for heat and hauled water buckets up the stairs to cook and to bathe for more than a week. Finally, in February 2011, she said she accepted an offer from Katz of six months’ free rent at another building, but couldn’t afford the new apartment once the regular rent kicked in. Today, she sleeps in a shelter in the Bronx. Habitat said in a statement that “at no point were we aware that any tenant had been forcibly moved or incentivized to move out of their homes in properties we were intending to purchase. Moreover, we would condemn the use of any such tactics.” The charity added that they had retained outside legal counsel to investigate complaints made about their handling of the federal grant, but said the lawyers found no evidence of wrongdoing and that Habitat International concurred with their finding. Bogdon called the allegations made against him in the whistleblower email “hearsay and erroneous.” He also said that the Jefferson building he had discussed with his colleague was never purchased. Lockwood, who is now the CEO of the Red Cross’s greater New York region, declined to comment. Katz’s lawyer denies that he owned many properties. But Habitat said that they “undertook numerous steps to ensure that our actions adhered to all grant guidelines.” They said they had paid no more than the appraised value for each property and that Katz and other developers signed good-faith agreements affirming that no tenants had been improperly displaced. “If we are able to determine that any former residents were affected by such tactics, we are willing to work with them to connect them to affordable housing resources,” Habitat said. 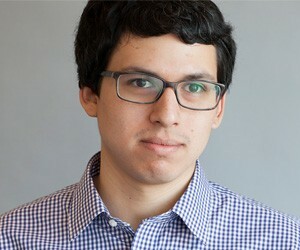 Josh Lockwood had a bold vision for Habitat-NYC when he was named its acting executive director in 2007. 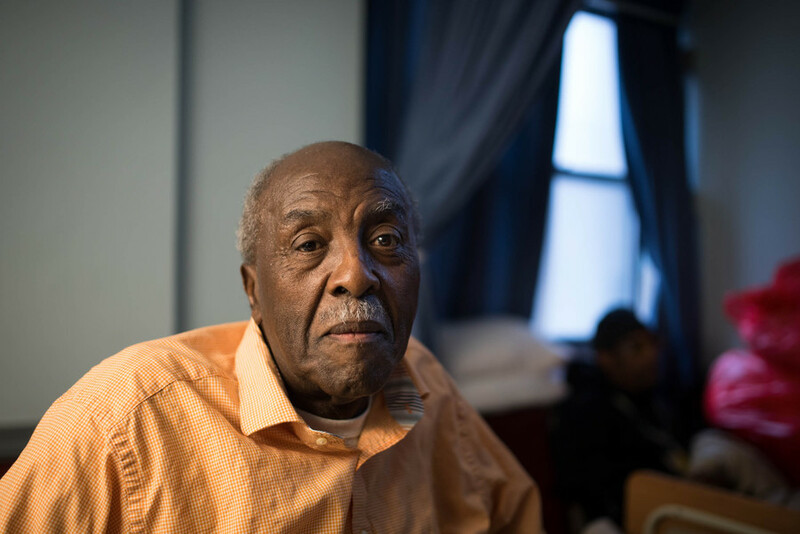 “In the face of New York City’s crushing housing shortage, Habitat-NYC is adapting our volunteer building model to a large-scale project,” Lockwood was quoted saying in the charity’s summer newsletter that year. For most of its history, Habitat-NYC built only a handful of single-family homes annually. It was a model pioneered by Habitat International, the Christian charity that sprung to fame in the 1980s thanks in part to former President Jimmy Carter’s close involvement. 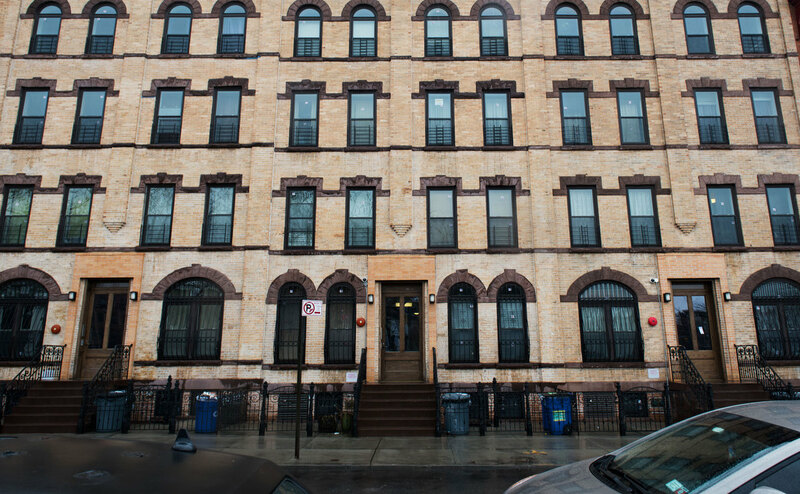 Under Lockwood’s leadership, the charity moved into large-scale construction, breaking ground on a 41-unit complex in the Brownsville neighborhood of Brooklyn. It was celebrated as the largest building project ever undertaken by a Habitat affiliate in the United States. The federal grant was crucial in Lockwood’s expansion plans. Now, Habitat would develop more than 100 units in one project. But taking the funds, part of the Obama administration’s stimulus package, would require Habitat to modify another aspect of its building model. In the past, Habitat acquired vacant lots and buildings from the city at nominal prices. With the federal grant money, Habitat would be going on the open market for the first time. The nonprofit also had to move forward on an accelerated timeline as it had agreed to spend half of the $21 million grant by the end of 2011, only a year and a half after receiving access to the money. On the surface, it made sense that Habitat chose to work in Bed-Stuy. The neighborhood had the highest foreclosure rate of multifamily rental properties in the city, according to a report by New York University’s Furman Center for Real Estate and Urban Policy, and Habitat had worked in the area. But according to city data, the neighborhood had few vacancies. That’s because tenants who live in old, multifamily buildings are usually protected from eviction. New York’s rent regulation laws afford those tenants the right to renew their leases even in the case of foreclosure. 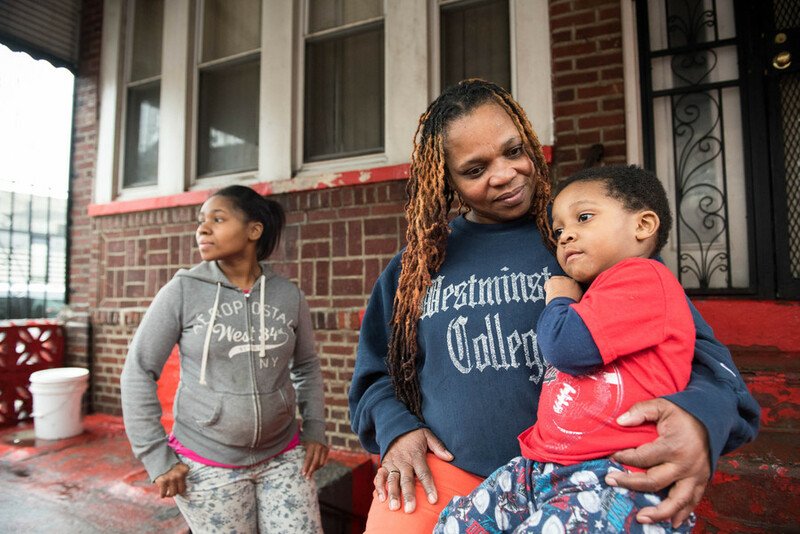 All seven families who moved shortly before Habitat bought their buildings lived in rent-regulated units. “If I were looking for vacant buildings as a result of the foreclosure crisis Bed-Stuy would not have been the first place to look,” said Harold Shultz, a former deputy commissioner at the city’s housing department. The rules governing the grant did not set out how long a property had to be vacant to be eligible for acquisition, but federal officials did not want their money to entice developers to empty out buildings to score a sale. “I see that as a big problem,” an official replied. If Habitat were to buy that property, he explained, the federal funds would be linked to the eviction of tenants. By the end of the month, Habitat began targeting several buildings for acquisition. They worked with a real estate broker named Jordan Bardach, who knew Isaac Katz. At the time, Katz was still paying off his settlement to the attorney general. Three of the buildings Habitat acquired with Bardach’s help were long vacant. But another, 849 Halsey St., still had three tenants shortly before Habitat targeted it for acquisition in late June, according to city housing records, and letters mailed to these tenants that were obtained by ProPublica. Twana Midgette said she left the building in June 2010 after she found what looked like an eviction notice on her door. “Because of the conditions of the building, I didn’t even put up a fight, and I didn’t have anyone to contact,” Midgette said. She now lives in upstate New York, where she said she continues to pay rent with public assistance. Melinda Ortiz remained as long as she could. “They said they wanted to gut the apartments. They even started working on the apartments downstairs,” she said. “They said that they weren’t going to accept any more money.” Ortiz left shortly after Midgette and has spent the past few years moving from apartment to apartment. David Coachman, a tenant who lived in a rent-stabilized unit, said he left on June 12, after accepting a $10,000 settlement. Four days later, a Habitat employee visited the property, HUD records show. “They wanted me out because they wanted the whole building empty,” he said. Today, Coachman lives with his son in Flatbush, Brooklyn. That was a little more than a month after the three tenants left. Habitat declined to say whether Katz had told them about the tenants when he signed the document. The tenants all said they had been pressured to leave, but do not remember the names of the people who spoke to them. 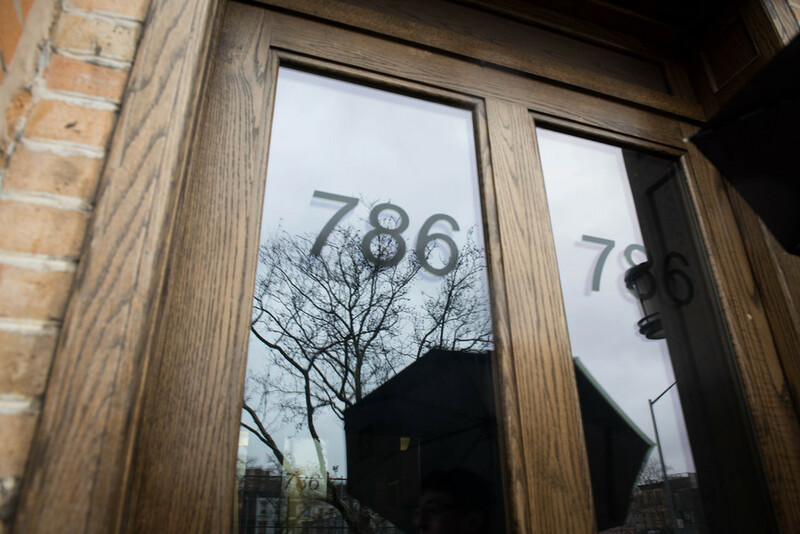 Katz’s attorney told ProPublica his client hadn’t purchased the building until early July. “When Katz purchased the building, it was vacant,” he said. If Habitat had independently tried to verify the occupancy history of the building, they might have found housing records that documented a call from Ortiz’s apartment to register complaints of bedbugs, mold and a broken banister. The date of the call was June 1, 2010 — 15 days before a Habitat official first visited the property. “I found all the units to be vacant,” the official wrote to HUD. Katz’s LLC closed on the sale of 849 Halsey to Habitat in late January 2011. As Habitat bought properties from Katz, some in the nonprofit grew concerned. One of the early alarm bells came from then-Habitat board member Karim Hutson in April 2011. “I thought we decided we would not consider any additional Isaac Katz buildings?” he asked Lockwood, according to an email Lockwood wrote summarizing their conversation. Records show that Habitat employees and the board discussed repeatedly whether to move forward with a new offering from Katz: three adjacent brownstones at 782, 784, and 786 Madison St. On June 6, Hutson said on a conference call that he would agree to the sale only if Habitat’s outside counsel at Hirschen, Epstein & Singer conducted research on Katz. 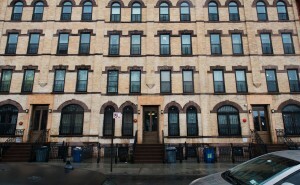 “There’s an intense effort to gain some consensus among the decision-makers on the board about how to move forward with Katz, if at all, and people like him (who dominate the market in this area–thus the subprime crisis in Bed-Stuy),” Lockwood wrote in an email to a colleague a few days later. Ultimately, Hutson voted against moving forward with the purchase, but was outnumbered, an internal memo shows. Katz’s lawyer denied that his client ever owned the buildings, but said that he had helped facilitate the sale. At the time Katz got involved, the lawyer added, the buildings were vacant. When Habitat began discussing the acquisition in April 2011, three tenants had recently occupied the buildings. One was Tashemia Tyson. 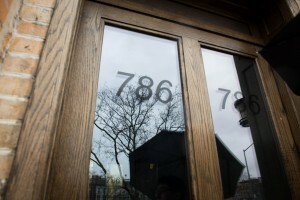 Walter Tatum said his family had lived at 786 Madison since 1962. His unit was rent controlled, and he said it cost him about $200 a month. In late January 2011, he complained to the city about the lack of water and heat in the building, records show. Soon afterward, Tatum said he was paid a $50,000 settlement to leave. It seemed like a lot of money. But because he was unable to work after suffering a head injury many years ago, Tatum realized that the payout would not be enough for him to afford a market rate apartment over the long haul. “He couldn’t find anything in his price range,” said Kamal Tatum, Walter’s son. He signed into a homeless shelter and remained there for about a year before moving with his son to Georgia. Neither Kamal nor Walter remember who gave Walter the money. Charles Watson stayed the longest. On Feb. 1, he put most of his belongings in a storage facility that offered a month of free use — still registering Madison Street as his home address — but left behind a bed to sleep on as workers gutted the building. After a few weeks, Watson said he discovered that the locks had been changed. He started sleeping on the subway, especially the J and A lines. Watson said he was homeless for more than a month as he looked for an apartment and transferred his housing subsidy to a new unit. Today, Watson lives in the basement of a large apartment building in Crown Heights and wishes he could move back to his old neighborhood. He said he has been on disability for 15 years after hurting his back while working as a janitor in a hospital on Coney Island. “When I moved out from Madison, everything went downhill,” Watson said. Even as Habitat employees questioned Lockwood about buying properties from Katz, Habitat appeared to be expanding its relationship with the developer. The idea was to have Katz do the renovation work on Madison Street, instead of the charity doing it itself. “Mr. Katz has had preliminary drawings prepared redesigning the buildings to incorporate 3 bedroom units at our request,” a Habitat memo stated. Katz’s attorney denied his client was the contractor. Internal documents show that Habitat did this to avoid federal requirements that it pay government-set wages, a deal structure that Habitat’s attorneys approved. “We are considering acquiring the 18 units completed so we don’t trigger the prevailing [wage] restrictions,” Bill Bogdon wrote to Habitat’s Real Estate Investment Committee on May 16, 2011. In a statement, Habitat said the Madison buildings “were in full compliance with prevailing wage regulations.” However, they did not answer whether contractors had paid prevailing wages on the project. As Habitat entered its second year of the federal grant, documents show that senior officials expressed concern about meeting their first spending deadline. “I am concerned that if we hit any kind of snag with the current pipeline we don’t have enough cushion,” Rachel Hyman, Habitat-NYC’s Chief Operating Officer, wrote in May 2011. They soon targeted 836 Jefferson Ave., which until recently was inhabited by a tenant named Roslyn Reed and her family. In mid-May, Reed filed complaints with the city on 17 different issues in the building, including broken doors and rats. Developers filed an eviction lawsuit against her soon afterward. The first hearing took place on June 13, court records show. Reed said Makowsky covered one month’s rent at a nearby apartment plus the security deposit and broker’s fee. Makowsky could not be reached for comment after numerous attempts. After two years, Reed said she and her family were pressured to leave their new apartment. Then they moved to a humid basement apartment nearby which changed hands after they got there. The new owners, Reed said, refused to do repairs, and told them they had to leave. 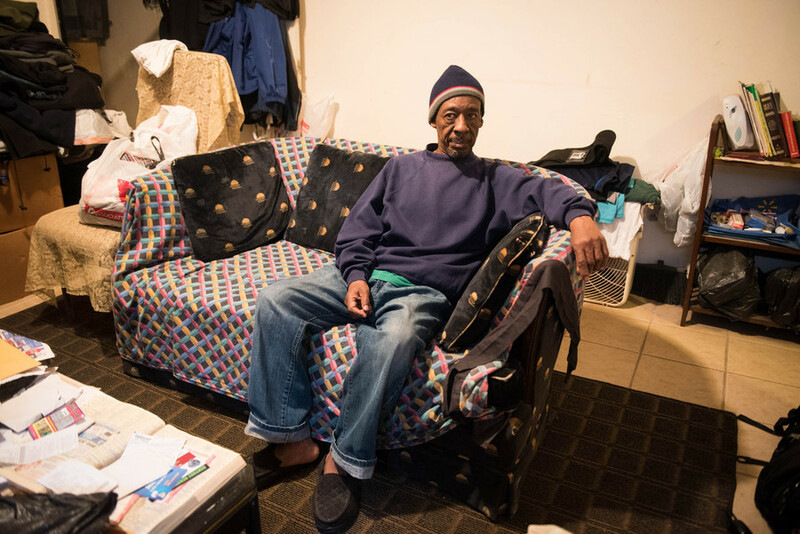 They recently moved to East New York, into another basement apartment where a total of seven people live. Lockwood left Habitat-NYC to become CEO of the Red Cross’s greater New York region in the spring of 2012. Hyman, who left the nonprofit in 2013, declined to comment. Even during Lockwood’s last months on the job, Habitat continued to scout the real estate market, looking for properties to acquire. 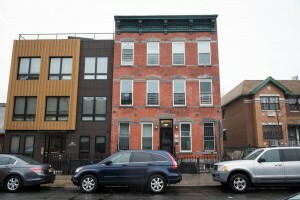 In March 2012, Bardach, the broker, emailed Habitat’s Bogdon about a Bed-Stuy listing he had first mentioned two months earlier. Bogdon sent him a four-word response. This story was co-published with the New York Daily News.